The phrase, “Online Research” is often used, but can mean many things. 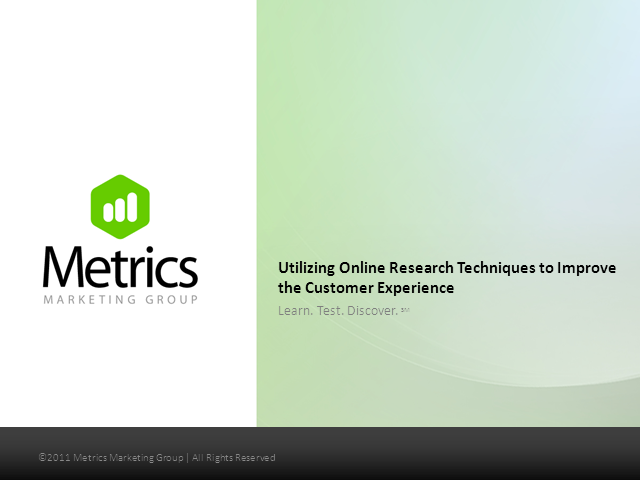 This presentation will include case studies of several different tools and techniques utilized when conducting research online, including IDIs and focus groups, usability testing, card sorting, online intercept, and more. Benefits and challenges of utilizing various methods online vs. offline will be discussed, including when to use each (and why).